As a sophomore in college, I changed my major to social work, declaring that “I just want to work with people.” Not formulas and theories – just real, live people. I rejoiced at the math-free curriculum and loved my direct-practice internships in refugee resettlement and school social work. But somewhere along the way my thinking started to shift. As I became more involved in social work (and later, public health) I understood the importance of the evaluation systems, metrics, and yes, formulas and theories that underpin this work. Evaluation and analysis tell us where we’re starting from, where we are succeeding or struggling along the way, and help to set and achieve realistic targets. In my work as Quality Assurance Officer for Reach Out Mbuya, a community-based HIV/AIDS organization, it’s clear that constantly tracking our progress really matters. Part of my work leads me to assess patient satisfaction, retention in care, health outcomes, and the specific barriers that arise between our efforts and our final impact. At this level, monitoring for quality improvement is the difference between harm or health, shameful stigma or positive living. 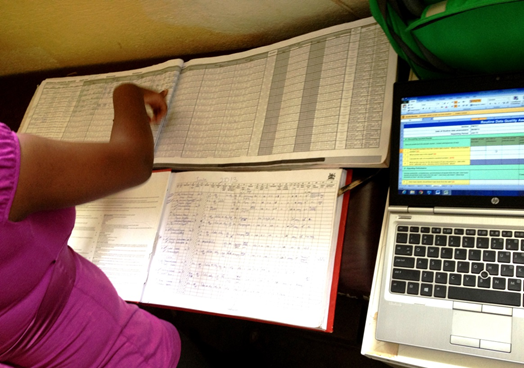 A couple weeks ago I worked with a few colleagues to carry out data and systems quality assessments at our site in Uganda’s Luweero district. 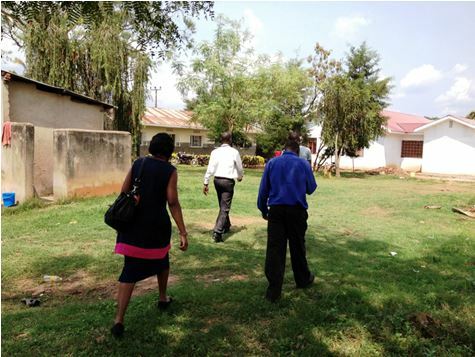 Over two days we reviewed data collection tools, Ministry of Health registers, and quarterly reports; we interviewed staff and sampled internal databases. In all of this, we were aiming to get a snapshot of how we’re doing with preventing mother to child transmission of HIV (PMTCT), treating and tracking Tuberculosis exposure, and promoting strong adherence to Antiretroviral drugs. We also checked in on our community savings groups, piggery project, programs for children affected by HIV, and vegetable seed distribution program. All that digging through data and number crunching might have looked monotonous to an outsider, but I can honestly say it was enjoyable for me—not because I’ve had a change of heart toward math, but because I’ve come to value the purpose behind it all. Despite the gaps and shortcomings that were revealed by the assessments, the process was actually encouraging- one colleague told me that just knowing where to focus gave him new motivation to improve on his work. So there I was, working face to face with real, live people… but supporting their work and providing fresh motivation through numbers, formulas, and metrics. And ultimately, reminding myself that we can’t choose people or metrics, one or the other. It’s the complete package of patients, programs, families, evaluations, theories of change, and metrics that make progress possible in global health. This blog post originally appeared on the Global Health Corps website. Reprinted with permission.